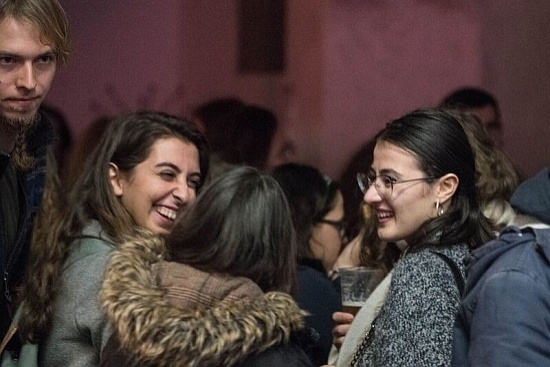 Charles University has staged one of its bigger Erasmus+ events this year for foreign students participating in the programme – a party held in the centre of Prague. The aim was to ease the start of studies by giving them a feeling for their new surroundings. And to mark the 20th anniversary of the program in the Czech Republic. 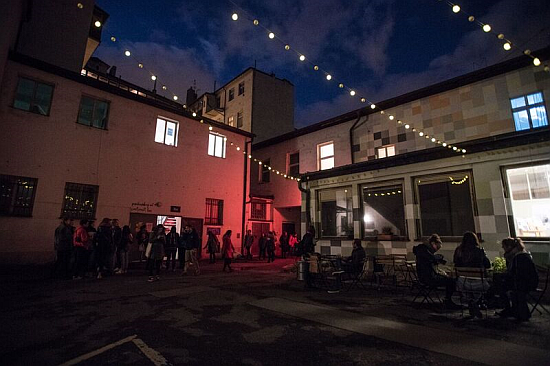 Hundreds of students, hailing from every corner of Europe, turned up at the venue (the magical Kampus Hybernská) on Prague’s central Hybernská Street. 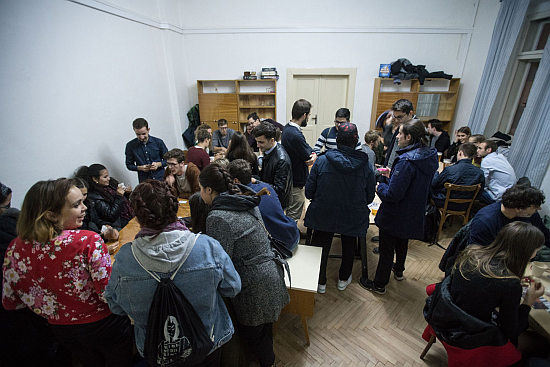 Kampus Hybernská early on in the evening of the Erasmus+ Party, October 24, 2018. Photo: René Volfík. 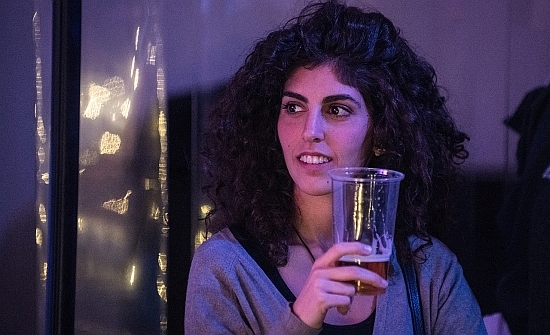 A chorus of ʺIt’s fineʺ was the most common response from partygoers to the question whether it’s difficult to make new friends on Erasmus courses. ʺWe meet at the lectures for English-speaking students, at the halls of residence, or here at the party,ʺ commented Brieuc from Leuven. ʺThere are quite a few Belgian students here. For us, Prague is very popular. Before, most of my friends went to study in Western Europe, now though it’s the Czech Republic that's out in front,ʺ he added. Erasmus partygoers could test their knowledge in quizzes, outline their experiences so far at urban workshop sessions, or immortalise the moment with a photo with new colleagues in the ‘smilebox.’ Czech movies with English subtitles played in the film room while modern board and party games such as Cards Against Humanity and Czech design Code Names were a big hit in the games room. The party was a great way to make new friends. Photo: René Volfík. ʺThe quiz was quite tough and I would have been completely lost without Google,ʺ commented Anni from Estonia and Anastasia from Greece. Spaniard Diego said the party was a great idea. ʺIn any case, it’s good just to find out a bit more about the city and country where we will be staying for the next six months,ʺ he added. And what were their first impressions of Prague? ʺThe first day was really awful. I looked for the faculty in the rain with a suitcase in one hand and an umbrella and a map in the other,ʺ smiled Mateusz from Poland. ʺBut everything has just got better since. In the seminars we are in small groups so there is plenty of opportunity for discussion. And one of the teachers speaks Polish, so I feel as if it’s like home,ʺ added the history student. People came and played board games for much of the night. Photo: René Volfík. ʺWe only have a couple of hours of lessons behind us so it’s difficult to give an evaluation and the system is a bit different from ours,ʺ responded Laetitia from Greece. She agreed with Romanian Andreea that Prague is a beautiful city, but added that some local people could be a bit friendlier. When you don't have to fight for your right to party. Photo: René Volfík. Students concur that overall they have no trouble getting by in Prague in English with the language only failing in communication with the older generation. ʺCzech is a really difficult language and I don’t even try,ʺ admitted Anna from Germany. ʺOne, two, three, beers,ʺ counted a more linguistically adventurous Belgian student. 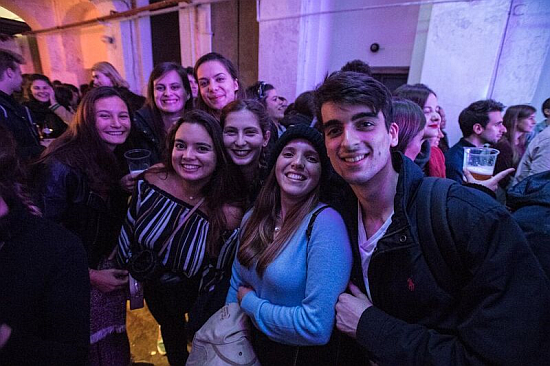 A visitor enjoying the concert at Erasmus+ Party 2018. Photo: René Volfík. With the basics behind them and the venue full, partygoers competed to get the best places near the podium where the concert got underway. 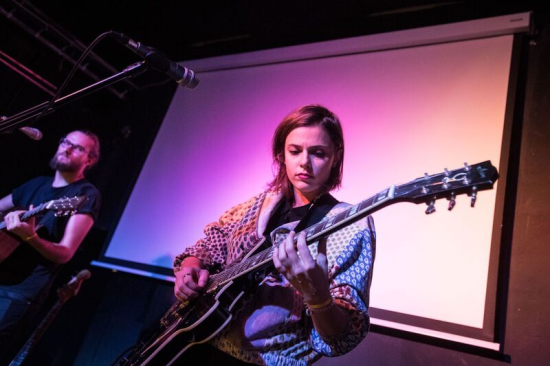 The folk duo Teepee were followed by the electro pop band Nano and then it was time for the DJ and dance music that kept the Erasmus students on their feet well until the early hours. Live performances were a big, big part of Erasmus+ Party 2018. Photo: René Volfík.